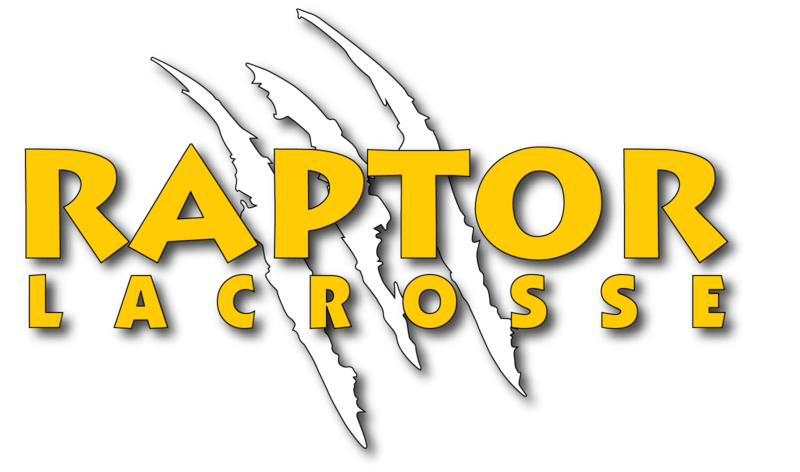 The mission of the Raptor Lacrosse Club is to develop a true and lasting love for the game of lacrosse. The Club is dedicated to developing lacrosse skills, good sportsmanship, teamwork, accountability and respect in a healthy and fun environment. The Club believes that winning is just a by-product of team character and individual effort and growth. The Coaches focus on developing the character of each player to create a team, rather than emphasize the importance of winning. The Club wants to insure that all club players receives as close to equal playing time as possible. The Club promotes equal playing time with the exception of the 4th quarter which is designated the “Coaches Quarter” further explained below. Equal playing time shall be the objective of the first three quarters of each game. Teams that are designated “A” by the NCJLA are more competitive, thus players must try out for these teams. The Head Coach shall fully explain to the players making this team what their roles may be for the team. Not all players on “A” teams will receive equal playing time. Every player, regardless of ability, should have approximately the same amount of playing time (PT) relative to other players in his position over the course of the season. There are many factors that determine playing time. First, PT depends on the position that players plays. For example, it is typical for a team to have 3 or 4 “lines” of midfielders that are rotated throughout the game every few minutes. By rotating 4 lines of middies, it means that each line plays roughly ¼ of the game. On the other hand, attack-man and defenseman have fewer numbers and rotate individually. If a team is rotating 5 or 6 defense-men or attack-men, those players will play approximately ½ - ¾ of the game each. If there is only one goalie, that goalie will play 100% of the game. If there are two goalies, each keeper should play half of the game, either by alternating games or by splitting each game. Second, there are special situations when a penalty occurs where our “extra man offense” or “man down defense” plays. If there are high number of penalties in a game, those units may play more in one game than another, and may replace a player who was just substituted into the game. Third, there are only a few permitted times during the game when coaches can substitute (for example, after a goal, during time outs and when the ball goes out of bounds). It is impossible to predict when these instances will occur, so it may be that some players have a longer “shift” than others during a game. While it is the coach’s goal to play each player equally in all games, it may be that some players play more in some games than in others. In those cases, the coaches will try to “make up” PT in a later game. The Head Coach will do his /her best to balance out PT over the course of the season. One exception is the fourth quarter in a close game, or when the team is playing in a close playoff game. Head Coaches may use their discretion in choosing players in such situations. Discipline problems. If a player is not following team rules during practice or games, the Head Coach may limit the player’s game time, including suspension from a game. Discipline problems include disrespect for teammates, opponents, coaches and officials. Lack of effort. If a player isn’t working hard and giving 100% effort, the coach may replace him with another player during a game. The lack of effort by an individual player creates unnecessary mistakes and limits the player’s ability to learn and the coach’s ability to teach. Through effort, players learn how to be accountable to themselves, their teammates and coaches. Attendance at practice. All players are required to attend practice. Failure to attend practices can result in reduced playing time. Some absences from practice are excusable (illness).